Peoples Democratic Party faithful in Delta State, particularly those elected under the platform of the party and appointees of Delta State Governor, Dr. Ifeanyi Arthur Okowa naturally get agitated whenever anyone criticizes the performance of Dr. Okowa in-terms of infrastructural, human capital and other forms of development. Appointees and apologists of Governor Okowa readily remind anyone who cares to listen that he has performed creditably well on road construction, youth empowerment and agriculture, through the YAGEP as well as STEP programmes. While it must be stated that this piece is absolutely apolitical and founded on the principle of fairness as the race for Delta State Government House draws nearer, supporters of the PDP led administration in the State will have to do lot more across the 25 Local Government Areas of Delta State to convince majority of Deltans that the over N164 billion purportedly spent on road construction by the Okowa administration between May 2015 and 2017 is justified. A large chunk of the roads constructed and resurfaced by mostly indigenous construction companies, partially or wholly failed few months after the roads were commissioned. It leaves one to wonder why successive governors in Delta State don’t patronize reputable and world-class road construction companies, despite being one of the richest States in the country. While States such as Kebbi, Lagos, Ebonyi and Anambra already boast of locally grown rice, Delta State under Okowa is yet to produce its own rice amid investment in the agricultural sector by the administration. The Okowa administration still has issues with pension arrears, local government workers’ salary arrears and that of primary school staff, this is not forgetting the huge debt profile inherited by the administration from its predecessor, vis-a-vis the poor allocation from FAAC in 2015 through 2017. Thank God the allocation is gradually increasing, even as the State IGR remains shrouded in secrecy. Despite the knocks of the current PDP led government in Delta State, the near-zero opposition from All Progressives Congress, APC remains a major source of concern to close watchers of politics in the State. Rather than provide a formidable opposition to the Okowa administration, key political gladiators of the APC such as Olorogun O’Tega Emerhor, Hon. 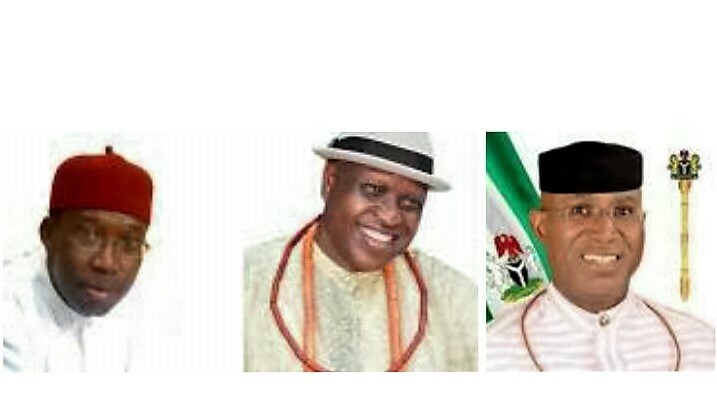 Victor Ochei, Great Ovedje Ogboru and Emmanuel Ibe Kachikwu are enmeshed in supremacy battle, while Senator Ovie Omo-Agege seems more concerned with consolidating his hold in Delta Central. The fractured state of the APC is even more apparent in Delta South Senatorial district, which has no clear leader. With evidence that votes are now counting in Nigeria, especially in the last one year and post-election litigation gradually becoming history in the country, the onus is now on Governor Okowa to up the ante in terms of performance and the main opposition All Progressives Congress needs to put her house in order ahead of the 2019 general elections. This is vitally important because Deltans desire the best to emerge as the next governor of the State in 2019 and it must be stressed that popularity and credibility will decide where the pendulum will swing to in the power equation.